This range of KLAW ERCs is designed for ambient temperature media transfer. Instant closure of the KLAW Flip-Flap Valves delivers the crucial advantage of minimal spillage when activated. The release mechanism is designed to limit stress on hoses, loading arm systems, fixed piping and other connections such as flange joints. The light weight and compact designs of KLAW ERCs are important for handling, post-activation control, maintenance and the enabling of a balanced system. This also allows KLAW ERCs to be retrofitted to any existing installation without major modifications to current structures. Designed to easily fit existing Loading Arms (re-balance may be required) and fixed pipe systems. Multiple end connection options are available which means couplings can be bolted, threaded or welded into position. Available in a range of control options designed to precisely meet your application and operational requirements. LPG, Fuels (Diesel, Gasoline, Jet-A1, MGO), Chemicals, Petrochemicals, Hydrocarbons, Crude Oil. Easily retro-fitted to Loading Arm or fixed piping installations. Bump ring for added fall-way protection. Supplied with Installation and Maintenance Manual for ease of use. KLAW Emergency Release Systems are available from 1″ to 10″. The KLAW ERC is also suited to Elevated product temperatures (+275°C 527°F). A range of Cryogenic Emergency Release Couplings is also available for operating temperatures to -196°C (-320°F). This range has been designed to offer optimum flow rate while maintaining 100% closure. 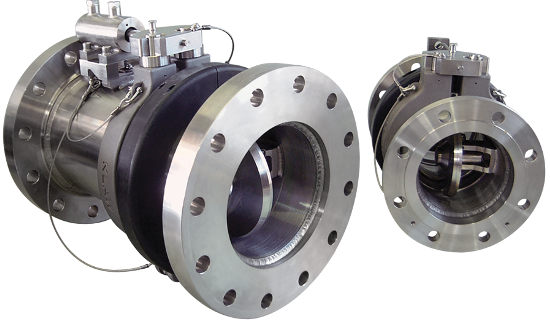 KLAW has also developed additional high-performance couplings that provide additional flow rate capacities occasionally required in specific ship loading and unloading applications. Contact the KLAW development team regarding flow and pressure requirements for you application.